Imagine a respectful, diverse, positive workplace. Every HR professional’s dream. But how do you achieve this? Catharsis Productions’ program, Not Suitable For Work, teaches you how to create a great workplace culture, by recognizing and removing toxic behavior, such as microaggressions and unconscious bias. Research shows diversity improves performance but diversity and inclusivity are not just reached by hiring a diverse group of people. Your staff needs to feel respected, included, and motivated to contribute. If you can increase positive communication and cross-cultural understanding, you are actively promoting wellness, continuing education and a healthier culture for your organization. 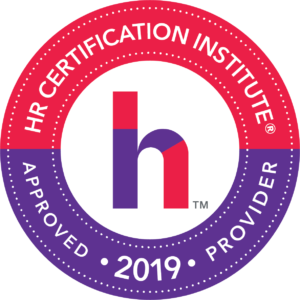 Earn credits towards your certification while learning how to recognize discrimination, retaliation, or a microaggression and how to respond in a productive manner to create positive change. Take advantage of our early bird price if you register before April 19!